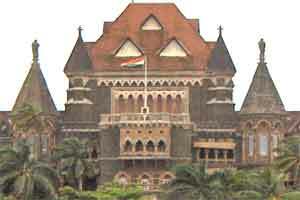 Mumbai: The Bombay High Court recently came to the rescue of a female doctor who was struggling to get her surname changed in a PG medical degree after the divorce from her husband last year. In response to her petition, the court asked the institute from where she had completed her Post Graduation in Dermatology and Venereology, to issue the diploma certificate without the name or surname of her ex-husband. The Indian Express reports about the case of the petitioner, who had completed her MBBS from Jiangsu University, China, in December 2011. The doctor gained her registration certificate of the Delhi Medical Council and Medical Council of India (MCI) which was issued when she was unmarried. In 2013, she got married to a guy at Jalgaon. It was after marriage that the doctor completed her Diploma in Dermatology and Venereology from an Institute at Parel. She had applied to the Maharashtra Medical Council to issue a registration certificate with the name and surname after her name. In March 2017, she was given a certificate of registration which mentioned her husband’s name. In July 2018, the couple got divorced and post this, the doctor desired to get independent of the name and surname of the husband from all of her documents. In the same year after the divorce, the institute gave her the diploma certificate, which carried the name and the surname of her husband. In her petition, the doctor alleged that while enrolling for the course in the institute, she provided her pre-marital name in the form, but in the diploma certificate, her post-marital name was mentioned. The doctor had approached the Medical Council and the institute to modify her name in the registration as well as in the diploma certificate. She further mentioned that the certificate that was given to her by the Medical Council contained both her pre as well as post-marital names but the institute mentioned only post marital name, adding that when she approached the council, the medical council made the requisite changes desired by her. The court went through the entire matter and observed that the institute cannot be “hyper-technical” about the issue; therefore it directed the institute to issue a certificate without her marital name. The bench further observed there was no harm for the institute to issue her a certificate without her marital name as the petitioner has already carried out other formalities like changing her name in an official gazette, reports the Indian Express.